EHX unveiled two new stompboxes, the Attack Decay and the Mono Synth. The first is targetted at vintage pedal aficionados and the second is a guitar synth unit with 11 different voicings. News of Lowden’s new line of guitars with Ed Sheeran took the six-string world by storm, and we were lucky enough to get our hands on the S04 model for a quick demo. Amidst the never-ending launches and demos, we managed to catch up with PRS’ head honcho Paul Smith about the Silver Sky. He tells us how the axe is changing the guitar industry. Victory’s latest release is a single-channel, 100-watt, all-valve amp that builds on the brand’s V40 Deluxe. We put it through its paces in the demo above. 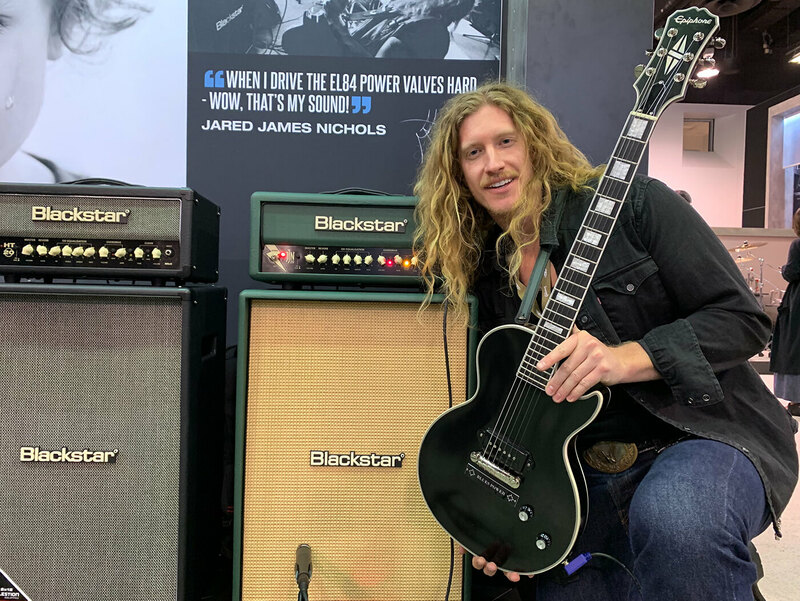 Blackstar has collaborated with Jared James Nichols on the JJN-20RH MkII, a 20-watt head designed to capture the bluesman’s unique drive tones. Who better to demo the amp than the man himself?